Guys! Brooks has a evening for you as well! Join us in Blue Ash on February 7th for an evening of Shorts & Shots...and FUN! And - Yes, we said Shots! 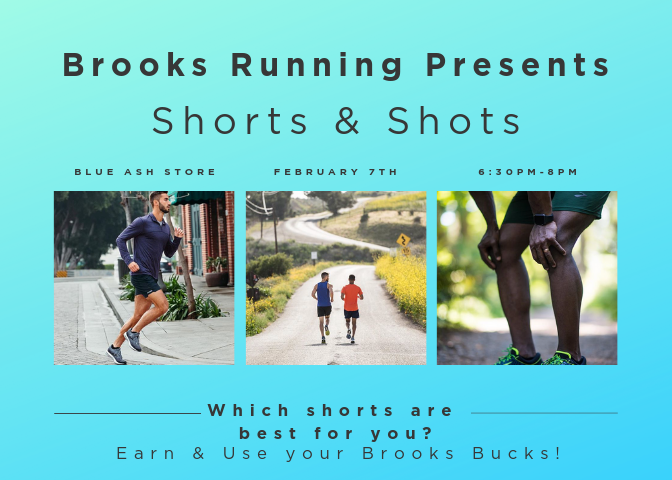 Be there by 6:30pm to hear about the newest shorts and apparel options.